The sun itself stands for all the ideals of the Pongal festival. Its message is that of light, unity, equality and true selflessness. These are the ideals of Karma Yoga. Hence, the sun is the greatest Karma Yogi. When we celebrate Pongal, our sense of value changes. We begin to understand that our real wealth is the goodwill and friendship of your relatives, friends, neighbors and other human beings. Our wealth is the land on which our food grows, the cattle which help us in agriculture, and the cow which gives us milk. We begin to have greater love and respect for them and for all living beings – the crows, the fish and all other creatures. To the agriculturalist, Pongal is a day of triumph. He would have by then brought home the fruits of his patient toil. 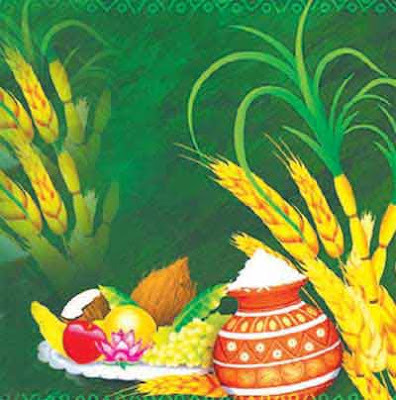 Symbolically, the first harvest is offered to the Almighty – and that is Pongal. To toil was his task, his duty, but the fruit is now offered to the Lord. This is the spirit of Karma Yoga. Of all the things that move and do not move, of all that is organic or inorganic, of everything in creation, the solar principle is the self, as it were, the pivot round which all individual energies revolve. We live by the Sun and die if the Sun is not to be. Spiritually envisaged, esoterically conceived, the Sun is not merely a huge orb of atomic energy as the physicists would tell us, but a radiant mass of life-giving vitality to everyone. And it is this Surya that is worshipped on Pongal. Clean the mind of its old dirty habits. Burn them up, with a wise and firm resolve to tread the path of truth, love and purity from this Pongal onwards. This is the spiritual significance of Pongal in the life of the spiritual aspirant. During Pongal festival we learn to feel one with all creation; we learn to be unselfish and to tread the path of love, purity and forgiveness. We learn that our real wealth is the goodwill and friendship of those around us, the land on which our food grows, and the animals that help to make our work lighter.